RV parking is the bane of existence for some RVers. When you plan ahead, you'll have no issues parking at your destination. If you wait until the last second, you'll scramble to find a safe place to park at night. While there are oddball places you can park if you can't find an RV park to accommodate you, there are ways to reserve parking, so you don't have to worry about it after a long day's drive. Does Every RV Park and Campground Reserve Sites? Not every RV park or campground takes reservations. Some National Parks do. Some parks are first come, first served, which means if you aren't there when the gates open, you'll need to look somewhere else. Some parks save a few extra sites for last minute arrivals, charging them a hefty fee to use them at the end of the day. It's best to reserve an RV parking site in advance to avoid more costs or having to find a last-minute place to park. Pro Tip: If you’re dry camping or boondocking, check to make sure you’re allowed to park your RV overnight. Some places require a reservation, even though there are no amenities involved. Other places you can park anywhere you see fit. Any RV park or campground that offers reservations will let you book online or over the phone. Most will need you to put down a deposit, like booking a hotel room. Before you begin calling, locate a handful of RV parks, campgrounds, or resorts in the area you'll be traveling to for your vacation. Go down the list one by one and narrow down the list to the best fit for your trip. For the best results, we recommend calling RV parks or campgrounds to make reservations. You can find out about any specials going on, any activities or events you might be interested in, and have a better opportunity to secure a prime site in the park. When reserving online, you don't always get to choose where you're parked which can be a crucial factor in whether you enjoy your stay or not. Calling also allows you to have any questions or concerns you have answered. You can also find out about any extra or add-ons the park offers, such as Wi-Fi, pool access and other discounts on activities that may be available. Pro Tip: Many RV parks and campgrounds that offer online reservations don’t always see them, especially if booking last minute. Call to reserve an RV site to ensure there are no issues upon arrival. Make sure to save the e-mail or confirmation number given to you. Some RV parks will give you the site number you'll be parking in right away. Others will wait for you to check-in to get you into a site. You'll pay for the duration of your stay once you get to the park itself, minus the deposit if you put one down. Always confirm your reservation with the RV park or campground at least two days before you hit the road. Checking on your reservation ensures that nothing has come up that will cause trouble once you arrive. It's an excellent idea to confirm it once more the morning you're set to arrive. Confirming your reservation allows you leeway in the event something does happen that forces you to readjust your arrival or departure to the RV park or campground. Pro Tip: Inclement weather, construction, and emergencies can come up with traveling. By checking the day of that everything is ready for your arrival, you avoid any last-minute RV park or campground changes. You&apos;re Late to the RV Park, Now What? Believe it or not, RV parks and campgrounds deal with this issue often. Unfortunately, when you're on the road, things happen. Flat tires, accidents, bad weather, and more can cause you to be late for your check-in. If you know ahead of time that you're going to be late, call the RV park or campground and let them know. Be courteous, offer to pay any late arrival fees, and assure them you'll be there as soon as possible. If you can, offer than a time frame for your arrival, so they know when to expect you. Calling ahead is proper etiquette and will go a long way should you want to reserve a site at the park or campground again in the future. 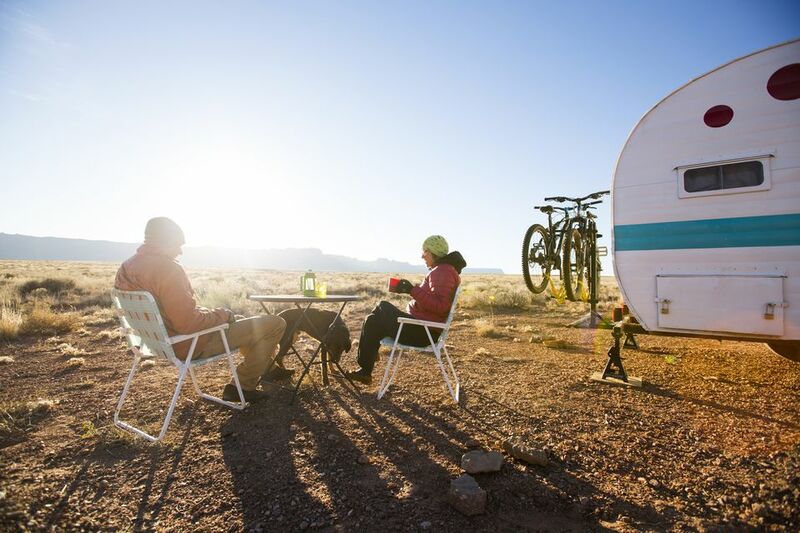 RVing doesn't have to be stressful. Arriving at your destination is only half the battle. Reserving an RV parking site before you hit the road is the best way to avoid worrying about where you're spending the night.